Holistic living is the essence of ayurvedic principles. And when it comes to maintaining our well being through food, there are certain dietary Dos and Don’ts. 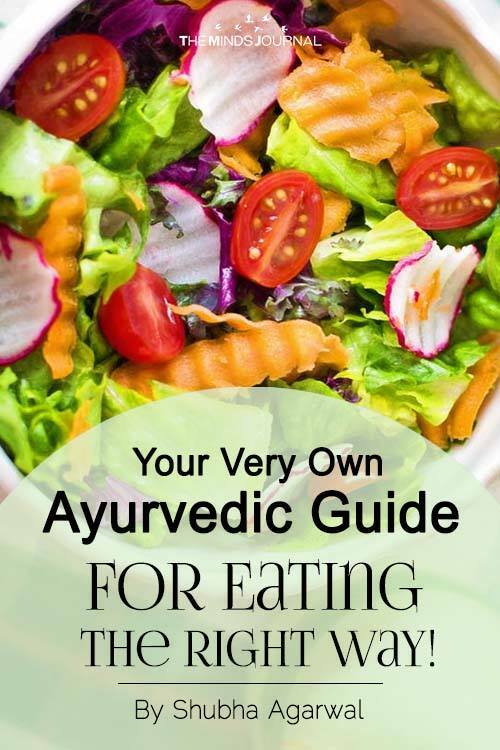 Ayurveda gives much importance to what you eat, how you eat and when you eat. It believes that before medicine becomes your food; let food be the healing and supporting power. 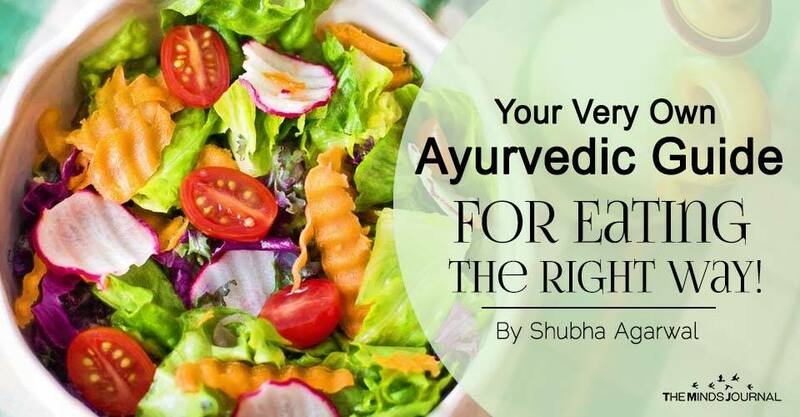 So, to enhance your vitality, follow this ayurvedic guide to eat the right way! Wholesomeness of the food you eat must be maintained throughout. Your diet must incorporate all fresh fruits and vegetables. These should be easy to digest, help you flush out the unnecessary toxins and keep your body nourished. The list can include whole grains like barley and rice; fresh fruits like oranges, apples and guava; spices like asafoetida, cinnamon, coriander and turmeric along with nuts, lentils and sprouts. A sattvic diet recommends not eating anything after sunset and before sunrise. Despite our on-the-go lifestyle, if we are able to integrate regular food habits, it may truly balance our health. Your food must indicate passion, positivity and energy. However, rajasic diets are a blend of pure and the impure. Cooking is based on both emotionally and physically strengthening foods for you to easily undertake an active lifestyle. Ideally, rajasic food diet includes stimulants like coffee and tea; spices like pepper and chillies along with vegetables like spinach, cauliflower and broccoli. However, an over indulgence can misbalances our well being and cause dehydration, anxiety and breakouts etc. A tamasic diet in ayurveda (including processed and sugary foods) is the one that’s unpalatable and is also considered detrimental for an individual. Tamasic food drains your energy, disturbs your sleep cycle and can also cause severe health disorders in the long run. Even the food that’s cooked without affection counts as tamasic. Plus anything that you consume in an uncontrolled quantity induces toxins in the body and leads to digestive disorders, insomnia and restlessness etc. Have your next meal when you’ve completely digested the previous one. Get your body in-tune and understand how it feels when you eat upon being super hungry. Do not eat when you are on-the-go. Sit peacefully and take time to chew and swallow your food properly. No need to hurry! Ideally, you must always consume warm and fresh food. Avoid having too much of dry foods but increase the intake of juicy and nutritious ones. Taste all the flavors of your food. Have a hearty lunch and go gentle on your dinner time meals. At the end, avoid excessive snacking along with oily, salty and sweet foods. Eat wisely and reap the benefits of every bite that goes into your system.